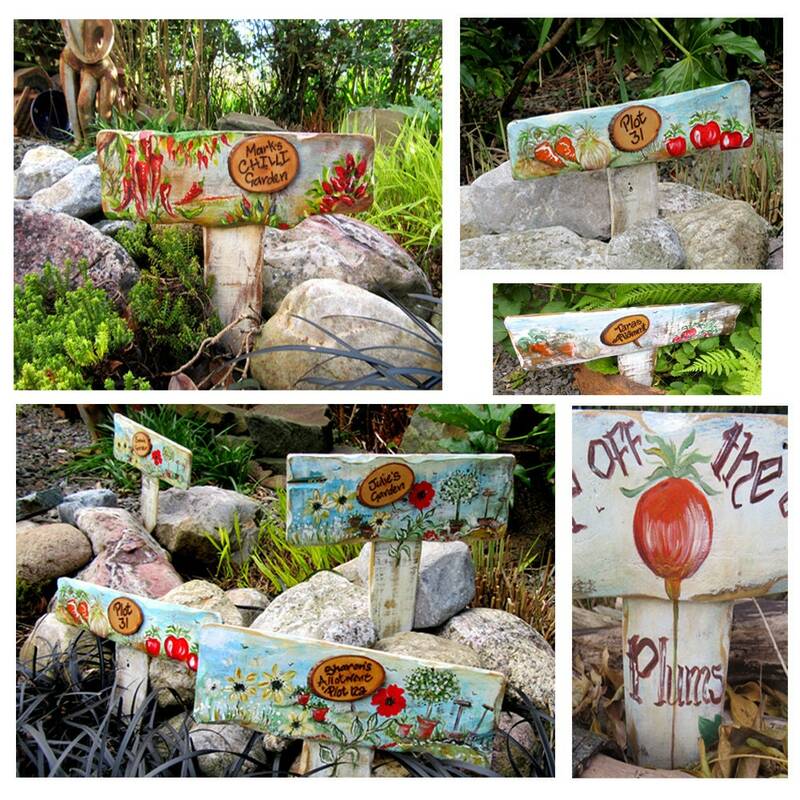 An unique hand painted allotment , plot, garden name or number sign. The plaque and stake are already attached ready for you to place in the soil. 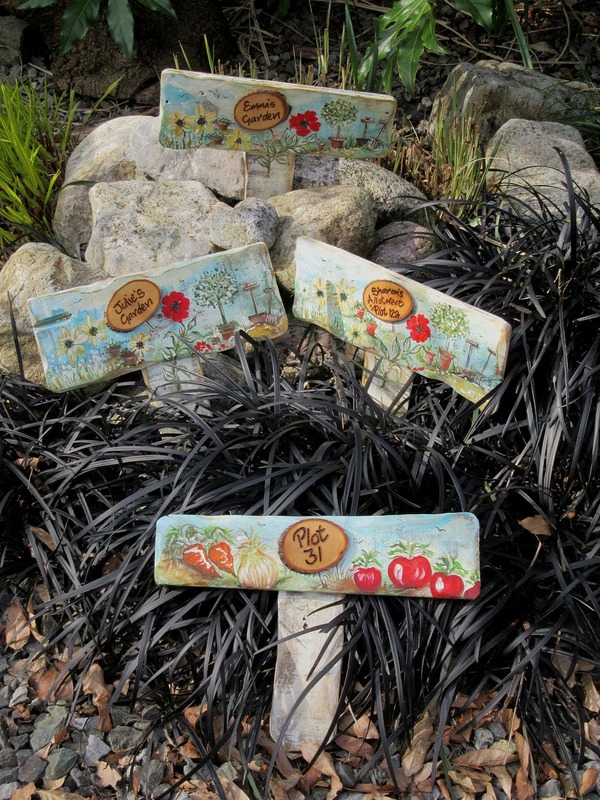 Make it truly yours and personalise with a name or plot number of your choice . 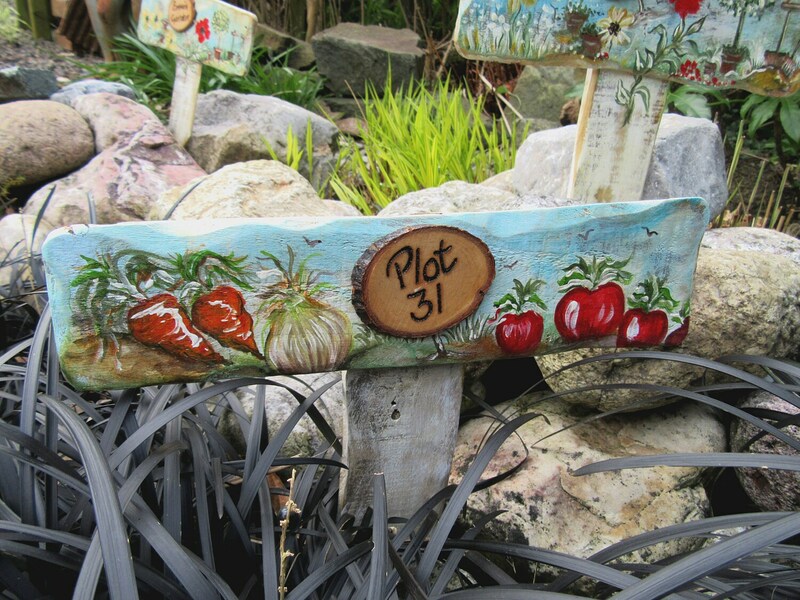 This item is for a personalised plot number only and painted with garden vegetables, however if you have an alternative illustration you wish to have on your sign please feel free to go to the listing for personalised illustration/painting below. 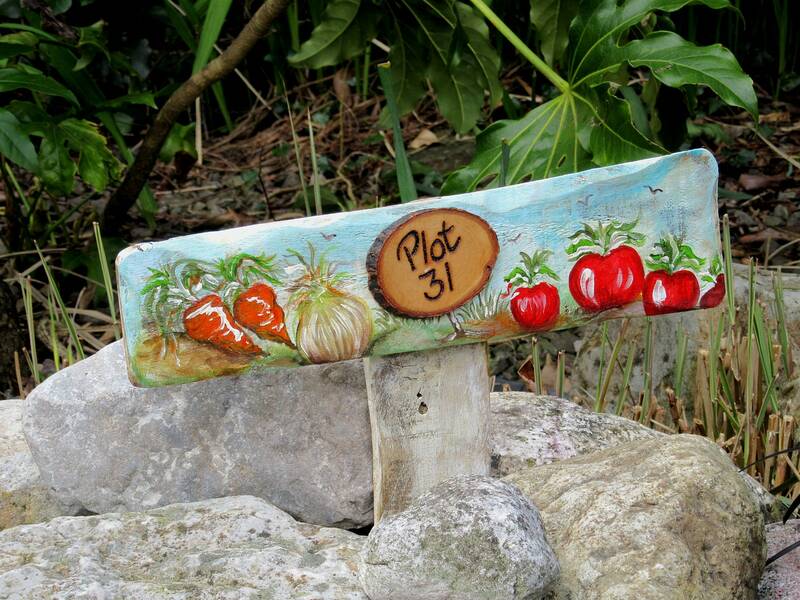 Size of the wooden plaque is approximately 25 cm / 10ins Total length with the stake attached is approx. 10ins / 25 cm. 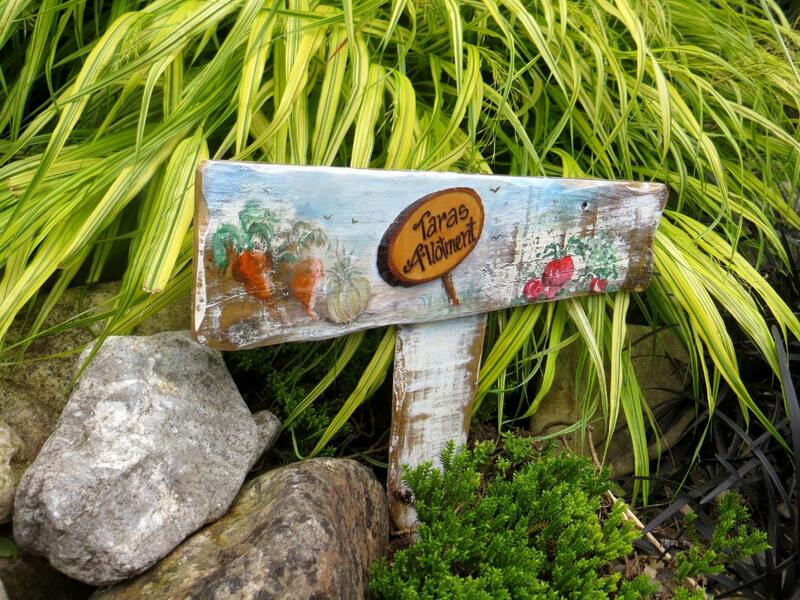 The sign comes painted to allow for your own coating of protection or painted and sealed. Kindly select from the drop down menu.